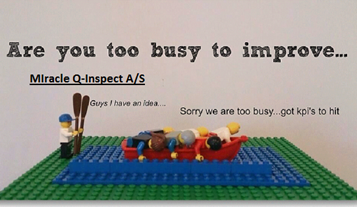 You can conduct easy inspection and reporting with our QReport software system. At Miracle Q-Inspect, we’ve had several requests from our customers to distribute a beginners guide to our QReport system. So we’ve therefore created a step-by-step guide to the QReport software, where you will receive a walkthrough of what the system has to offer. The guide is meant for beginners and new users of QReport. If you are in need of specialised assistance with your QReport, we recommend that you contact us directly. You will be able to access the guide from our website and when you access your QReport account online. The beginners guide takes the form of a classic pdf document, and you are welcome to download it, distribute and share it as you wish. How to access the system. Provide your with an overview of the system. How to create your first template. Describe how to create your first project and inspection. Provide a download guide for the QReport app. Describe how you create your report, based on your collected data and inspektions. Click here to download the QReport beginners guide 1.ed. At Miracle Q-Inspect, we intend to provide our customers with what they need, in order for them receive the full benefit and potential of QReport. We therefore encourage you to comment on what you would like to see from us and we will try to accommodate your wishes as best we can. Please follow us on Twitter and LinkedIn and receive updates on recent uploads to the blog.